There’s something special about seeing the person you are speaking to. When we need a way to talk to others, but with more options and more capabilities, the usual intercom system just isn’t enough. Today’s technology has the capacity to make electronically mediated interaction more human and more personal than ever. Hikvision’s Visual Intercom System enhances that human element to an electronic mode of communication – by allowing callers to see each other. But that’s not all. We also included a list of intelligent features that just might surprise you. This Visual Intercom extends surveillance capabilities, adding a level of safety to a user’s home. It creates a hub for emergency responses. It adds an access control dimension to reinforce a sense of safety in the home or workplace. And our echo-cancellation technology ensures high quality voice transmission, providing an exceptional user experience. All this and more can be easily managed with our mobile app. In a world where personal interaction is increasingly digitized, it’s nice to find the human element in our hi-tech devices. 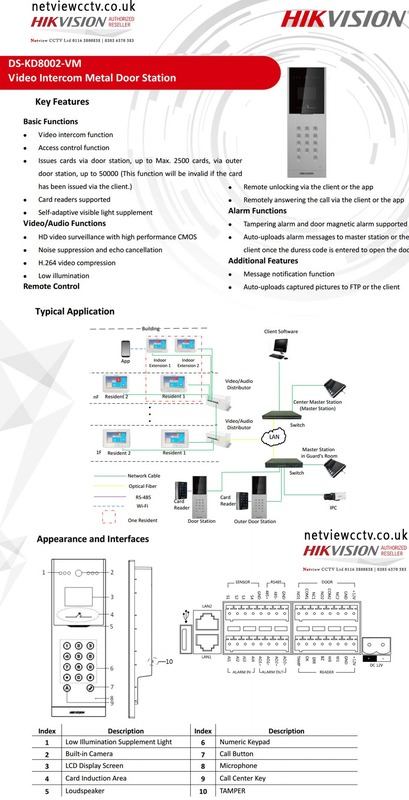 The Visual Intercom System from Hikvision makes communication more personal, more pleasant, and more technologically advanced than ever before.